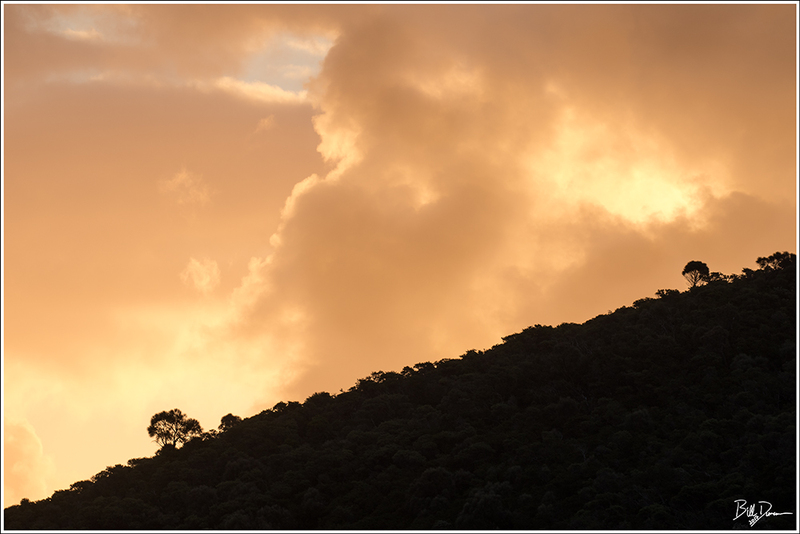 It has been a while since I’ve shared some photos from Wilson’s Promontory National Park, along the southern coast of Victoria, Australia. This is definitely one of my favorite places I have ever visited and today I want to tell an ecology story of a special plant that I had no idea existed until making this trip in December, 2017. 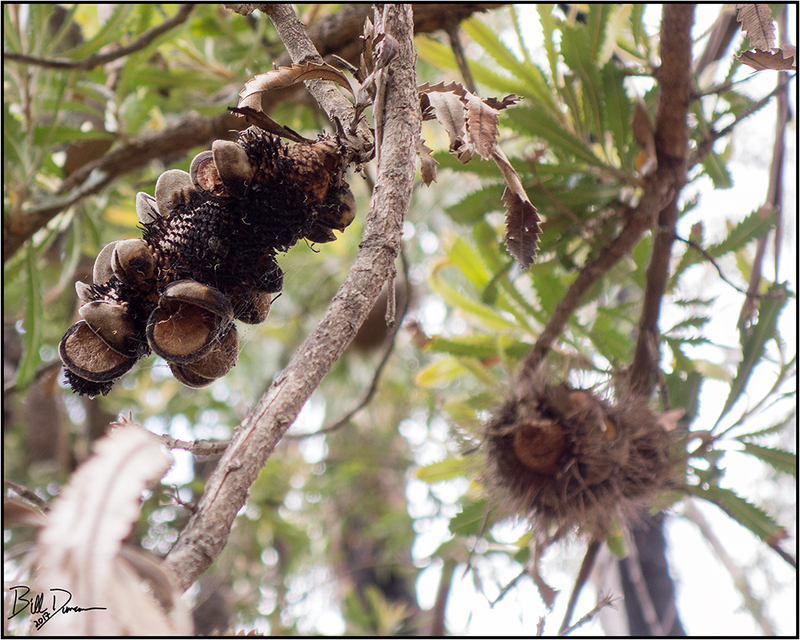 The Banksia are a highly adapted plant that are found along a number of coastal habitats surrounding Australia. 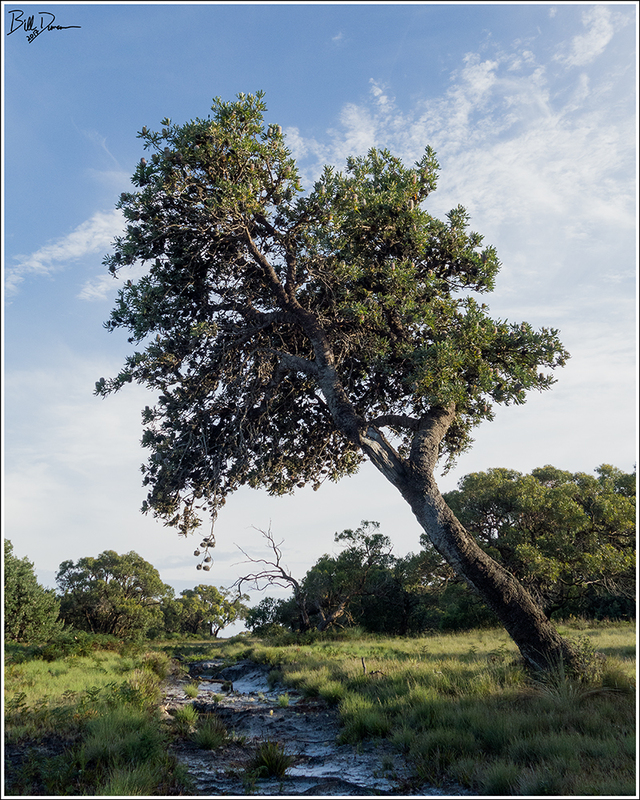 Wilson’s Promontory has four recorded species, two small to medium tree type forms, Banksia serrata and B. integrifolia and two smaller brush/shrub forms, B. marginata, and B. spinalosa (1). The most abundant species on the Prom and the only one I had sense in taking photographs of is the sawbank banksia, B. serrata. 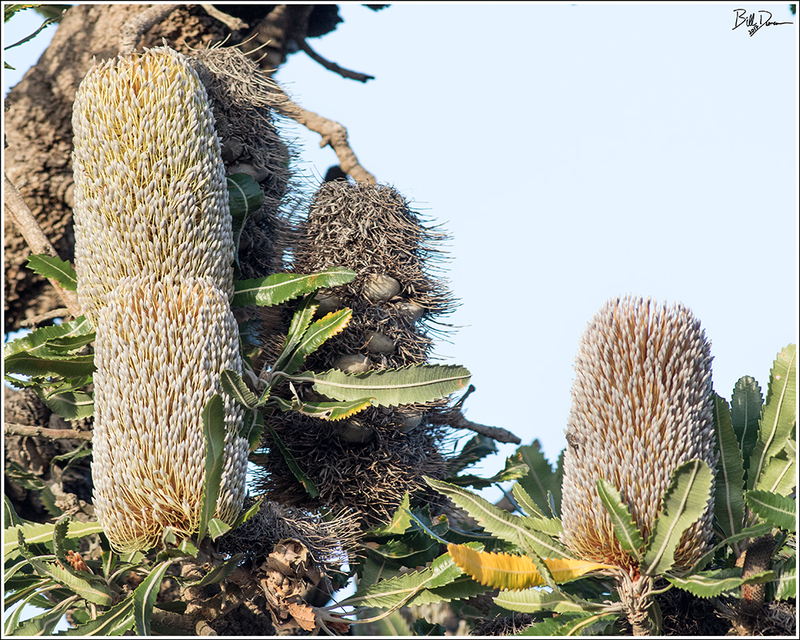 Banksia are easily identified by their bottlebrush-shaped spike inflorescence, which can contain hundred to thousands of of tiny flowers. Typically, only a few flowers will produce a hard and woody follicle that may hold the seed enclosed on the inflorescence “cone” within the canopy for as many as ten years. Although hard fires will cause the death of established Banksia, it is a necessity for most Banksia to remain stable in their habitat. 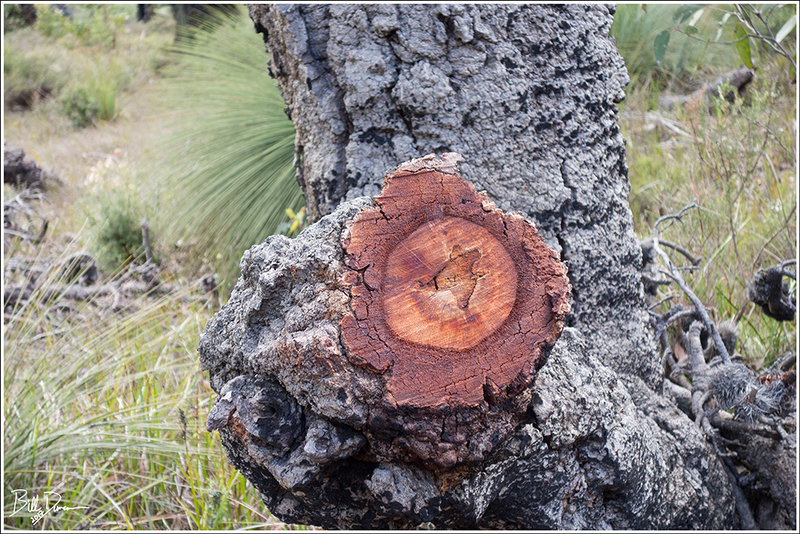 Wild fire causes the woody follicles to dry and allows the opening of the hinges that releases the seeds within and promotes their germination (2). The photo below shows a very old “cone” that is still being held on the plant despite the seed having been released due to fire-induced desiccation. The Banksia are well-adapted to fire as the next photo attests. Collin and I found this recent cut along a trail access. The thick and furrowed bark helps to keep fire from destroying living cells underneath. There is a great case for describing Banksia as mutualist keystone species. Nectar produced at the base of the flowers was used by original native peoples, the Gunna and the Boonwurrung, to sweeten their water. This nectar also feeds a wide variety of important insect and bird pollinators during the day and mammals, like the eastern pygmy possum, at night. Birds such as Spinebills, Wattlebirds and Lorikeets have tongues adapted with brush-like tips that helps them specialize in feeding primarily on nectar and pollen (2). 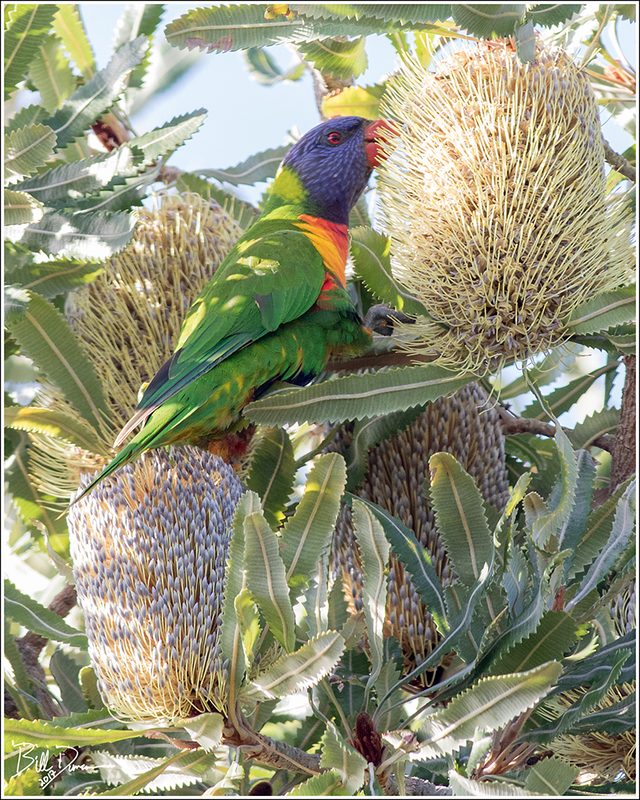 The photo below shows a Rainbow Lorikeet that I was able to capture in the act of feeding. 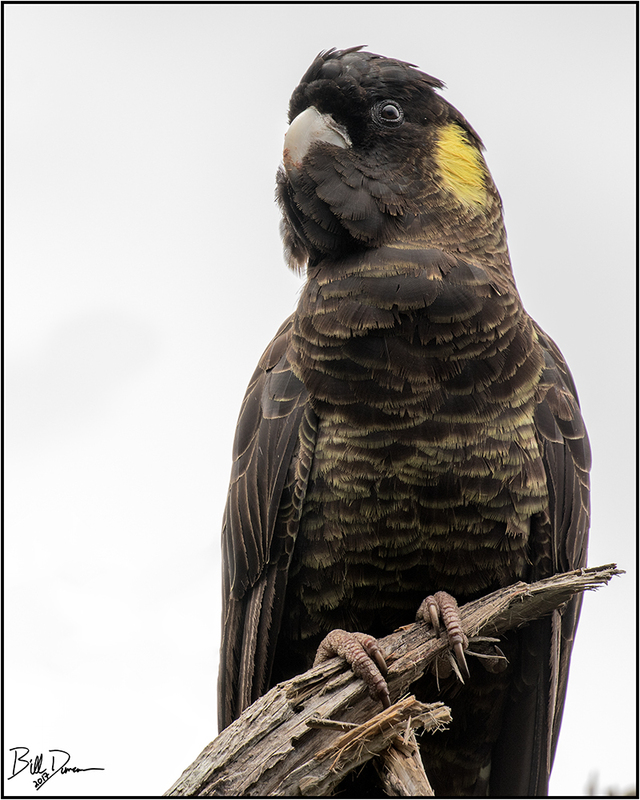 Only the largest of seed-eating birds, like the Yellow-tailed Black-Cockatoo, can use their strong curved beaks to break into the woody seed pods of Banksia to feed on the seeds within. 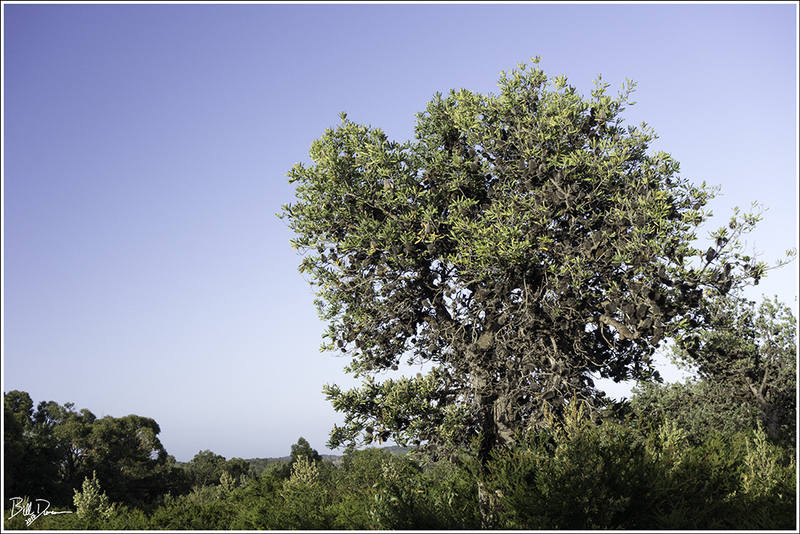 B. serrata and B. integrifolia are among the tallest of trees in heathlands and similar habitats where they are found in the Prom. Because of this, they are important architecture for perching and nesting birds as well as providing shelter for small mammals. 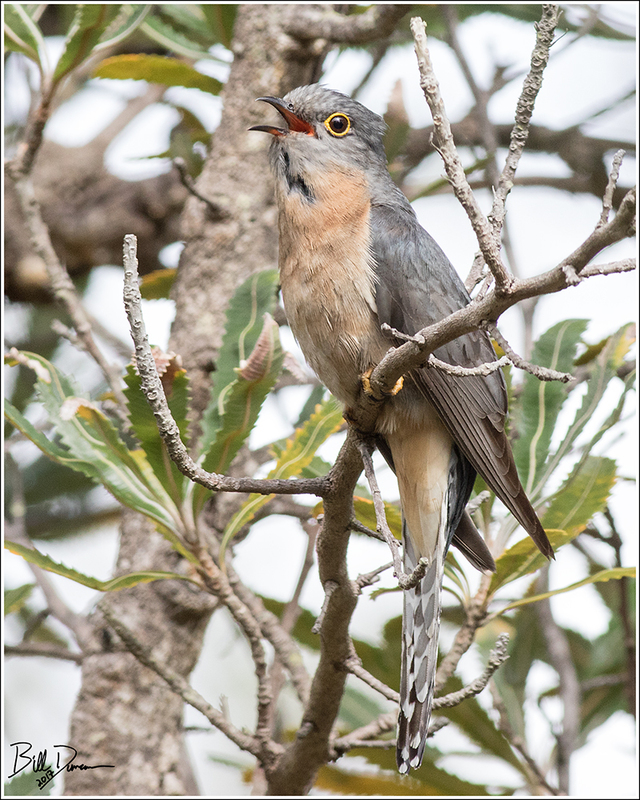 This male Fan-tailed Cuckoo is one of a few birds we found using the Banksia. Until next time, have a good day, mate.